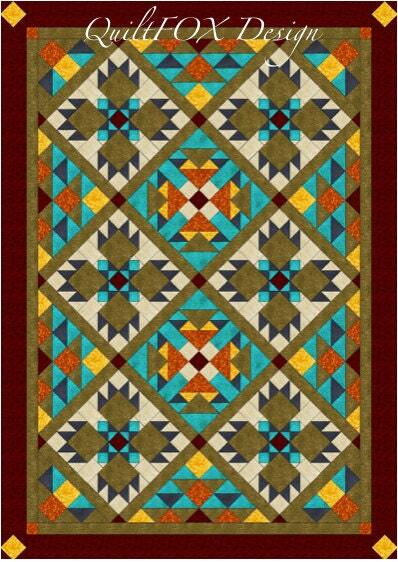 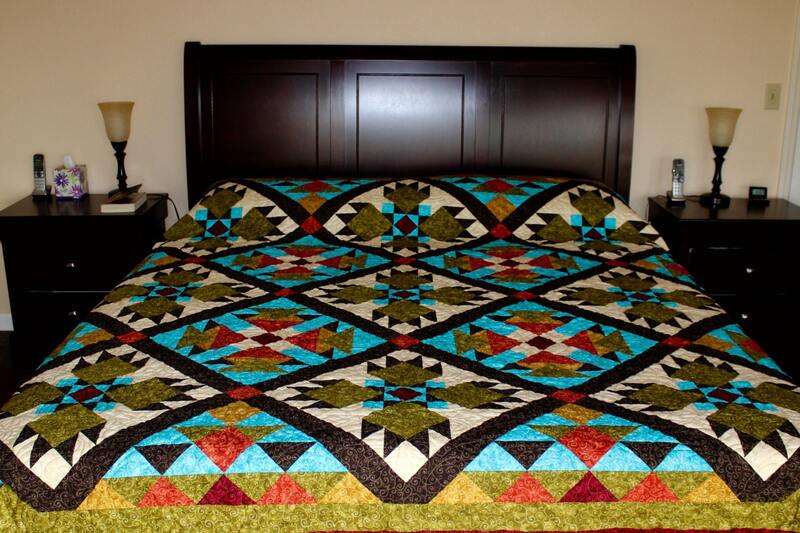 I used three different blocks and the Southwest color palette to create this beautiful Twin/Full Size Quilt with Bear Paws. 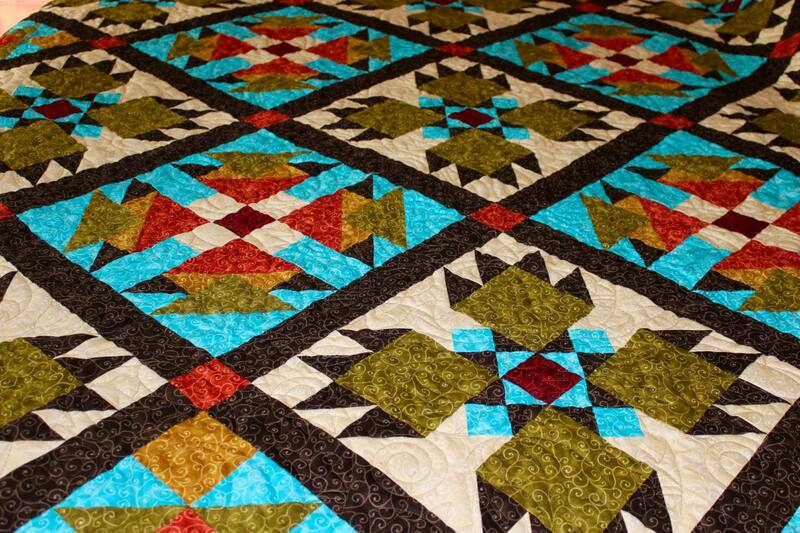 The blocks are set diagonally and joined with sashes. 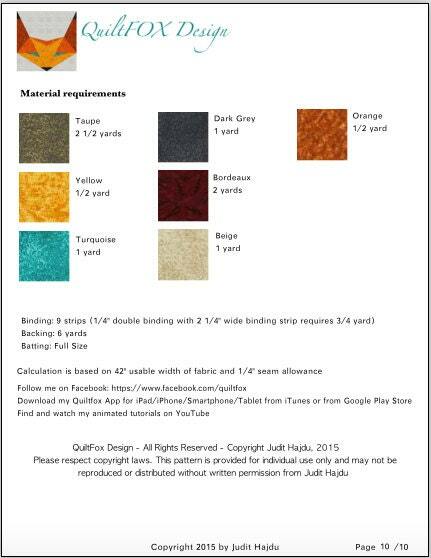 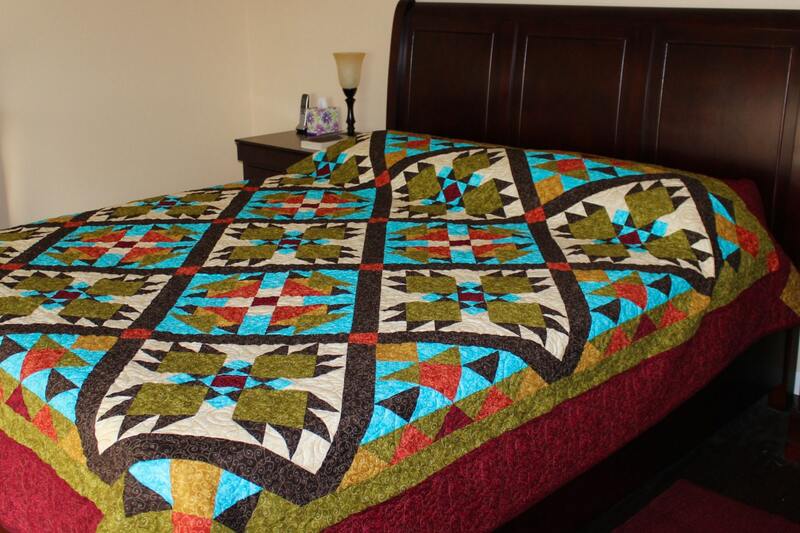 Please note that the photos show the king size version of the quilt.